We raised our concerns about the widespread (mis)use of “Cyclists stay back” stickers over 6 months ago , sent a letter of complaint with our colleagues the CTC (the National Cyclists’ Charity), the London Cycling Campaign, RoadPeace, and the Association of Bikeability Schemes, followed by another complaint due to an inadequate response by TfL . And then TfL chose to give yet another – let’s say “inadequate” again because we try to be polite – reply to press enquiries rather than replying to us directly. By now, even seasoned campaigners were getting annoyed. 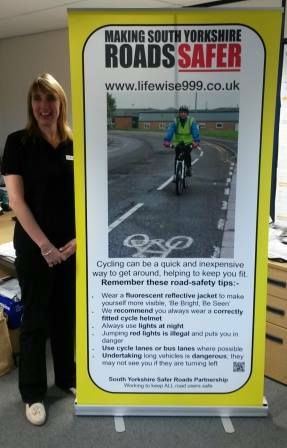 This entry was posted in Cycling, HGVs, Road Danger Reduction on June 26, 2014 by rdrf. How about some real traffic law enforcement? This entry was posted in Cycling, HGVs, Law on June 4, 2014 by rdrf.